Though the St. Louis Cardinals have not yet issued their formal press release naming their non-roster player invitations (NRIs) to 2019 major league spring training camp, a list of 24 names was disclosed on Friday, Jan. 25 on Twitter by Rob Rains of StLSportsPage.com. “Why do they matter?”, you might ask. Well, almost without fail, one and sometimes two of these players – by definition none of whom are currently on the 40-man roster – will end up breaking camp with the major league club, securing both a 40-man and 25-man active roster berth. Sometimes, it is due to injuries to others and in other cases a result of exceptional Grapefruit League play. Who can forget last year, when NRI Jordan Hicks rebounded from being banished from big-league camp for tardiness to being called back and then spending all season with St. Louis – despite no experience in either Double-A or Triple-A? Granted, often times, the NRI who makes the team is the designated catching reserve behind Yadier Molina. That was the case for Eric Fryer in both 2016 and 2017 and Francisco Peña is lined up to complete the same double in 2018 and 2019. The count of 24 invitees (who will join the 40 players on the 40-man roster) in Jupiter, Florida starting on February 12, is the same total as in 2018. The major difference is a shift from five catchers to eight this spring and a corresponding decline in the number of infielders invited. 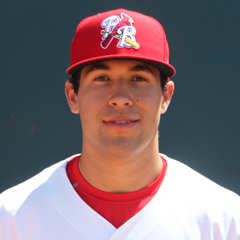 The NRIs include two top 10 members of The Cardinal Nation’s 2019 prospect list – catcher Andrew Knizner and a first-time invitee, outfielder Dylan Carlson. Three more top 20 members are coming and a total of 11 players from the top 50 prospect list. In a bit of a surprise to me, the largest contingent, nine of the 24, were also NRIs last spring. The returnees from 2018 camp make up the majority of the position players, including Peña. They include Knizner, outfielder Randy Arozarena and the only returning pitcher, Memphis starter Jake Woodford. The next largest group is veteran players signed to minor league contracts, consisting of five pitchers plus catcher Joe Hudson, likely Memphis’ second catcher along with Knizner in 2019. Also in that group is left-hander Tommy Layne, who re-signed a minor league contract with the Cardinals after becoming a free agent (as did Peña). 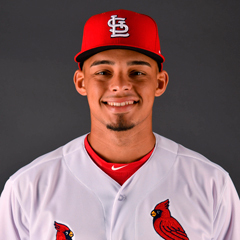 Six players joining their first Cardinals big league camp previously participated in the top spring minor league camp, STEP (Spring Training Early Program), so in a way, they are stepping up in spring competition. Carlson is the most notable name in that group. 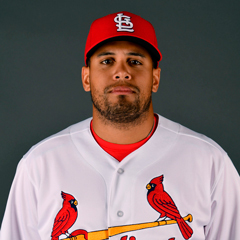 One NRI was acquired in trade, as Seth Elledge came to the Cardinals in July from Seattle for Sam Tuivailala. Pitcher Ryan Meisinger was acquired in December via waivers from Baltimore and was subsequently removed from the 40-man. That does not mean he cannot pitch his way back on, however. The biggest NRI story may be 2017 ninth-round draft pick Evan Kruczynski, who received a $3,000 signing bonus. The left-hander was not invited to either St. Louis’ spring camp or STEP Camp last spring. However, Kruczynski emerged with a strong season between Palm Beach and Springfield and concluded his breakout 2018 with a good showing in the Arizona Fall League. Of course, there could be changes even after the formal announcement, such as last spring when reliever Jason Motte was a late big-league camp addition. He was released on March 23, in what turned out to be the final move of his playing career, a few days before the addition to the 40-man of both Hicks and Pena was formalized. MLB.com confirms the list of 24 non-roster invitees that was first reported on January 25. The list is the same as above. To view the Cardinals’ 40-man roster as well as all players in the system by position and level, check out the Roster Matrix, always free and updated here at The Cardinal Nation. Also included is every player transaction across the full organization all year long.